Cape Town - Wayde van Niekerk gave an emotional interview as he reflected on his week at the IAAF World Championships in London, England. Van Niekerk finished just off the pace of Turkey's Ramil Guliyev to claim a silver medal in the 200m final in a time of 20.09. Van Niekerk broke down in tears as he reflected on his week, which saw the South African retain his title and win gold in the men's 400m. 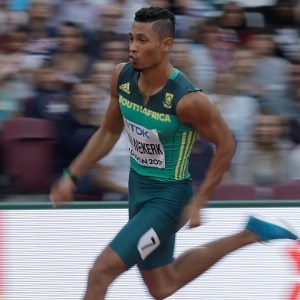 With his silver, Van Niekerk also helped claim a record medal haul (five) for South Africa at any IAAF World Championships. "It was really a massive roller coaster for me, this competition," an emotional Van Niekerk told the BBC. "I didn't just celebrate the medal I got tonight, it was more of a celebration of the competition overall. "Coming away with two medals, both a good colour - gold and silver - I think it's great for my career and another moment to be grateful for."